The Michigan Library Association (MLA) is pleased to announce that The Serpent King by Jeff Zentner, published in 2016 by Tundra Books, is the winner of the 2017 MLA Thumbs Up! Award. In The Serpent King, Dill isn't the most popular kid at his rural Tennessee high school. After his father fell from grace in a public scandal that reverberated throughout their small town, Dill became a target. Fortunately, his two fellow misfits and best friends, Travis and Lydia, have his back. But as they begin their senior year, Dill feels the coils of his future tightening around him. His only escapes are music and his secret feelings for Lydia--neither of which he is brave enough to share. Graduation feels more like an ending to Dill than a beginning. But even before then, he must cope with another ending--one that will rock his life to the core. Jeff Zentner is a singer-songwriter and guitarist who has recorded with Iggy Pop, Nick Cave and Debbie Harry. In addition to writing and recording his own music, Zentner works with young musicians at Tennessee Teen Rock Camp, which inspired him to write a novel for young adults. He lives in Nashville with his wife and son. You can follow Zentner on Facebook, Instagram, and on Twitter at @jeffzentner. 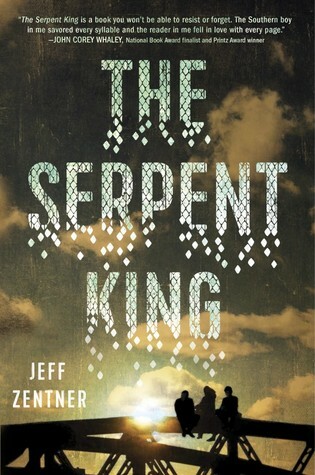 The Serpent King is Zentner’s debut novel has been named to ten best of the year lists and selected as a William C. Morris Award Winner.